Amid celebrations of the new year, it's helpful to reflect upon the outgoing year and whatever lessons can be gleaned from it. After all, looking back on one's wake can be instrumental in determining which direction the wind seems to be pushing you. The boating industry is one of many industries that tightened its belt after the recession and has never fully loosened up. 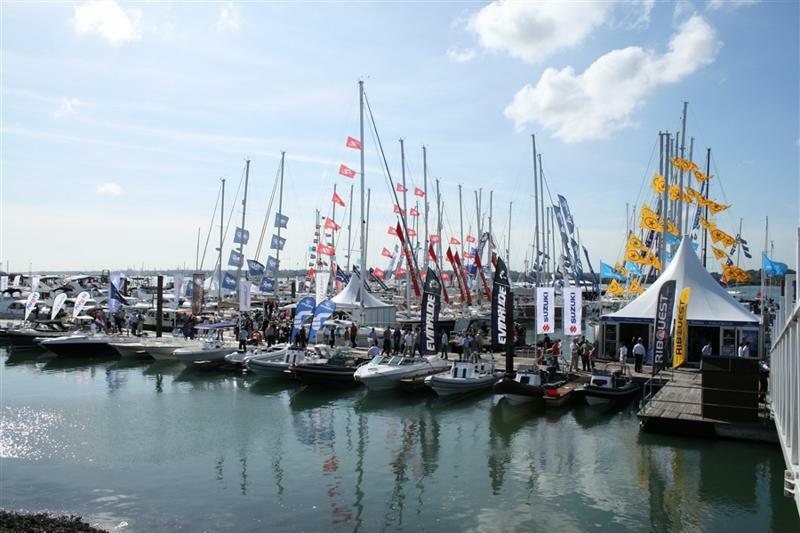 That's particularly true in the case of boat shows, which have become less common and less lavish as dealers adapt to new market realities. Yet dealers who do still stage big boat shows have reported a worthwhile return on their investment, particularly in northern regions such as Canada, the Great Lakes and the Northeast. One Midwestern dealer encouraged others to think of it less as a boat show and more of a boat sale. The dealer told Boating Industry that he had spent more than $130,000 on a four-day show, but had managed to sell 166 units for more than $5.6 million dollars during that time. Providing sample food from a local restaurant, drinks, summer-themed prizes and live music gave the event a more luxurious feel and clearly appealed to the customers present. While providing great customer service has always been a crucial aspect of any good business, some of the best companies are going above and beyond in ways that are new and unique. Whether hiring more employees devoted specifically to the areas of customer service and Consumer Satisfaction Index scores, or even hiring third-party companies to conduct customer surveys that go beyond the manufacturer CSI cards, many dealers are focusing on making sure the customer is happy. "Each and every customer from our service department receives a follow-up call, post service completion," one Western dealer told the magazine. "We continue to see that customers are more likely to be truthful and forward when speaking with a third party. These reports allow us to immediately reach out to affect positive change in how the customer perceives their experience with us. We can address issues and have an opportunity to correct any issues the customer is still experiencing." Better benefits are becoming increasingly important to employees, in some cases even more so than traditional forms of compensation. That's true for many businesses, and the boating industry is no exception. Adding new benefits or improving existing benefits is the best way to attract and retain great employees. According to many dealers, the No. 1 most desired benefits is good healthcare - which, unfortunately, is also one of the most expensive. Still, some have found that providing more generous plans has proven to be yet another worthwhile investment in the long run. Other benefits proving increasingly popular among dealerships are 401(k) matches or other retirement plans, tuition reimbursement, bonuses and profit sharing, which are especially in-demand among millennials. If your dealership already practices some or several of the above boating trends, you may already be ahead of the curve. But if you want to know what direction the wind is moving, the top boating trends of 2018 can act as a weather vane. And of course, it's always a good idea to provide customers with comprehensive financing options. To learn more about becoming an Aqua Finance partner, reach out today.